Mid-afternoon yesterday, while the sun was shining high, I decided it was a nice time for a coffee break. 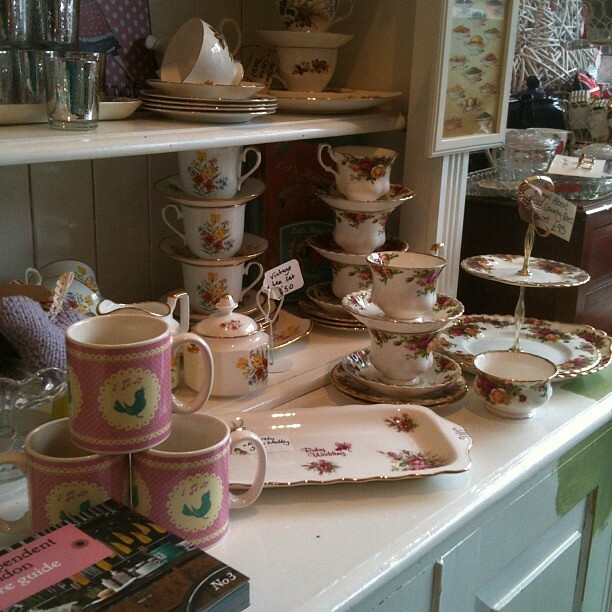 I’m becoming quite fond of Emporium Tea Room and Fancy Goods. 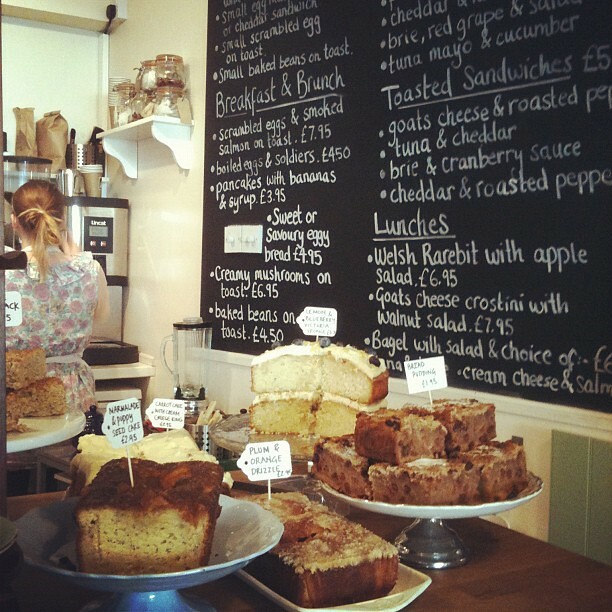 They serve lovely cakes and tasty soups and sandwiches. 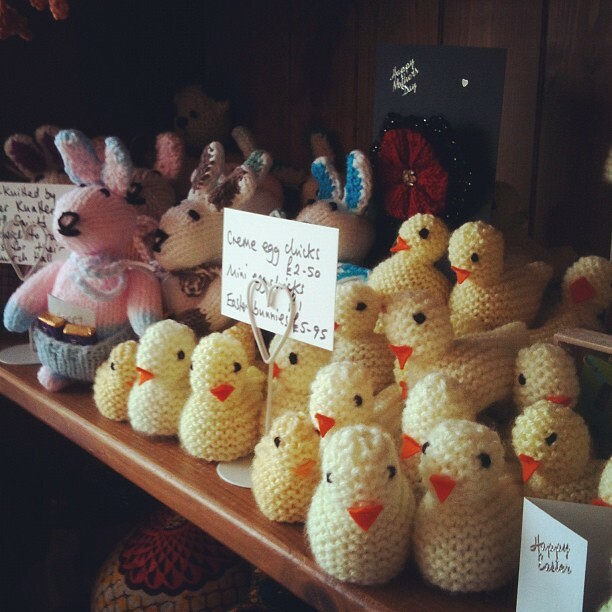 They also sell handmade crafts. Best part? They serve my favorite coffee in London, Monmouth. Winning all around. But I have to admit, every time I show up I’m holding my breath, fearful all the yummy mummies are there with kids in tow. It’s a smallish tea room so sound travels. A lot. 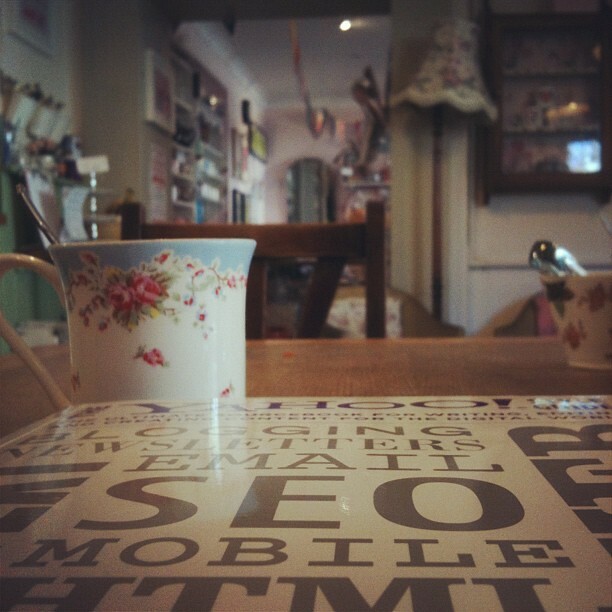 I’m trying to wrap my head around SEO and maybe eventually HTML. Hmm…maybe I should be learning that the other way around? Here are some of the sweet goods they have on sale. I see these and I see pincushions! 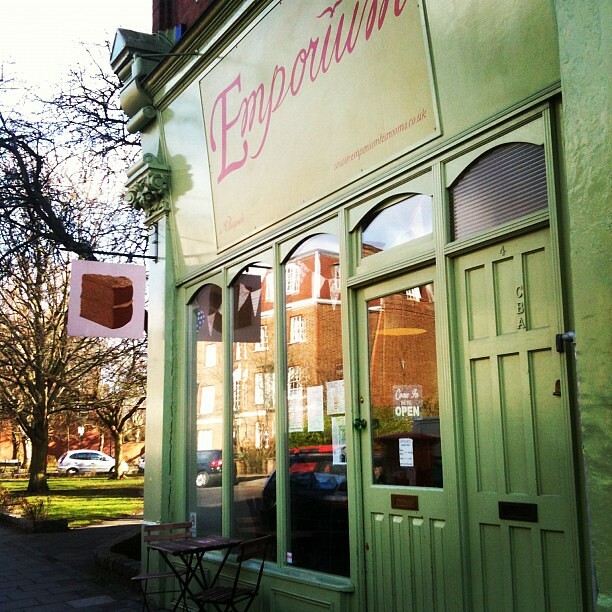 The Emporium is a decent walk away from the flat but it’s worth doing. That is, if I can avoid the crowds. I think I might have the timing right. My last two visits have been yummy, quiet and with the perfect amount of people-watching. 22 Feb	This entry was published on 22/02/2012 at 11:55 AM. 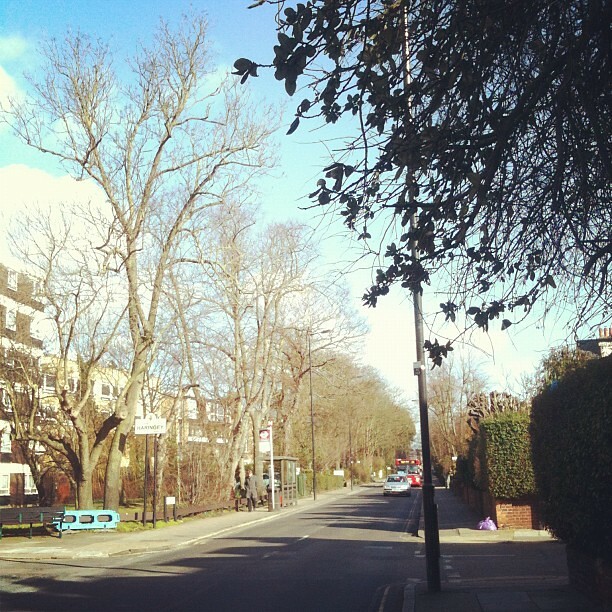 It’s filed under food, life, London and tagged cake, coffee time in London, crafts, fancy goods, Instagram photos, Muswell Hill, North London, photography, tea room. Bookmark the permalink. Follow any comments here with the RSS feed for this post. Gosh that looks like a lovely place! It really is. I kind of wish their cakes were bad because now I crave their yummy lemon cakes. Ugh! Gorgeous! The teacup with the blue rim is too cute! Isn’t it? They had so many but I was afraid to stand around taking photos of all of them. What a yummy looking place!! I love how you discover the best coffee shops in the whole country. I shall have to join you here one day – is it on the route on our upcoming walk? It is on the way! Maybe we can stop there for some cake and a drink? Yes! A must. It looks AMAZING!!!!! 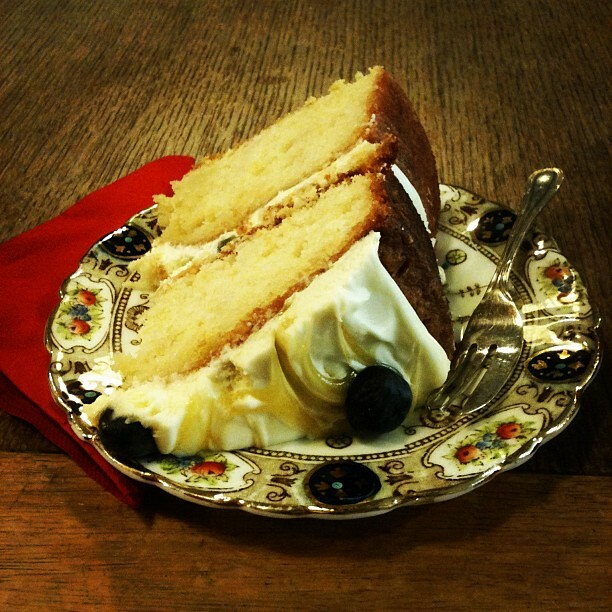 Have you been to THE VINTAGE EMPORIUM in Shoreditch? It’s just off Brick Lane and has a similar vibe. Not yet but it’s on my list of places to go. I saw it mentioned on a blog and was convinced that I have to visit.